Earlier this month, Spotify announced its new hateful content policies to varying degrees of negative and positive response. The policies aim to hold artists accountable, not only for hateful content within their music, but also for hateful conduct in their own personal lives, by removing certain songs from the platform’s editorial and algorithm-generated playlists (rather than from Spotify’s catalogue entirely). Among those artists affected were R. Kelly and rapper XXXTentacion, both of whom have been accused of abuse. On Friday, Spotify took a few steps back, announcing to some industry execs that they would reinstate XXXTentacion’s music on their playlists in response to outcry from the industry, artists and the public, as Billboard reports. However, the changes to the policy are not yet solidified, and there are no plans to further promote R. Kelly’s music on Spotify. Many in the music business weren’t fans of the platform’s new content policies, and it’s unclear just how effective they truly are in preventing hateful content (the New York Times reported that streams for R. Kelly’s “Ignition” multiplied on the platform, rather than decreased). 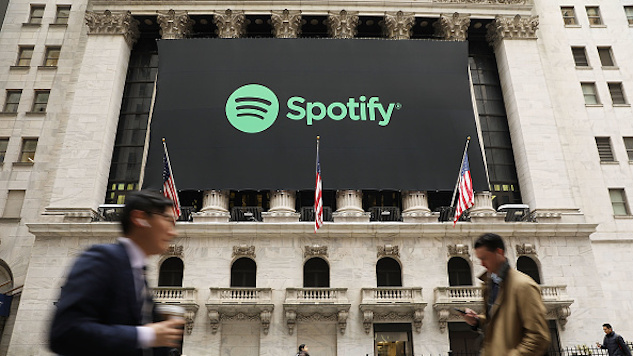 Spotify executive Troy Carter even reportedly threatened to leave the company in the wake of the new policy changes. Industry professional Vickie Nauman, who has also worked with Spotify, says it could be difficult to remain consistency in blocking hateful content going forward. Where and how do you draw the line? I support taking a stand and not willingly sponsoring a known violent artist, but it’s quite unclear to me how you can consistently monitor and apply any sort of similar editorial/social/cultural standards across art on any scale.